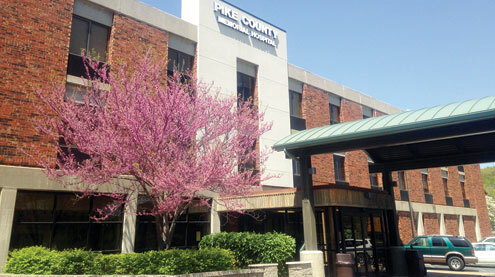 Pike County Memorial Hospital has once again earned The Joint Commission’s Gold Seal of Approval® for Hospital Accreditation by demonstrating continuous compliance with its performance standards. The Gold Seal of Approval® is a symbol of quality that reflects an organization’s commitment to providing safe and effective patient care. PCMH underwent a rigorous, unannounced onsite survey in August 2018. This survey is done every 36 months. During the review, a team of Joint Commission expert surveyors evaluated compliance with hospital standards related to several areas, including emergency management, environment of care, infection prevention and control, leadership, and medication management. Surveyors also conducted onsite observations and interviews.